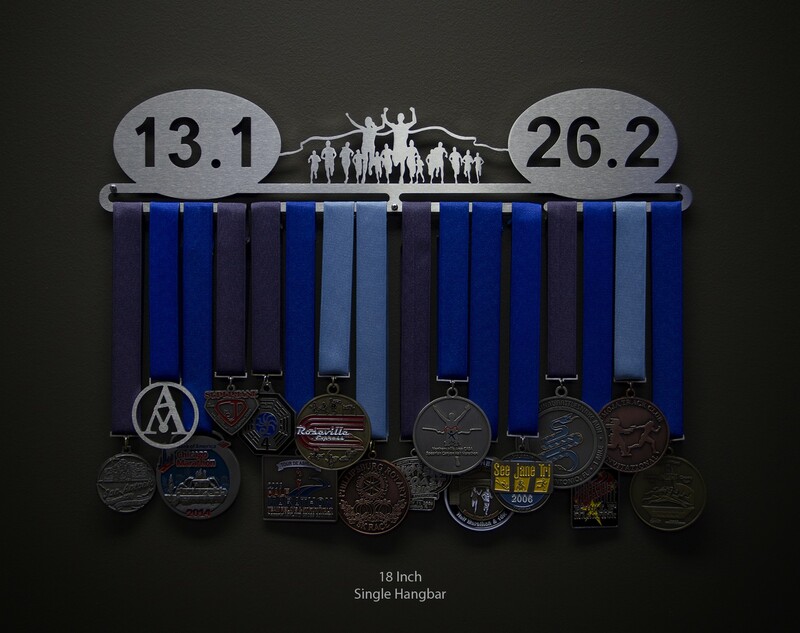 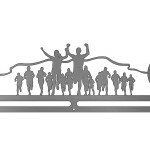 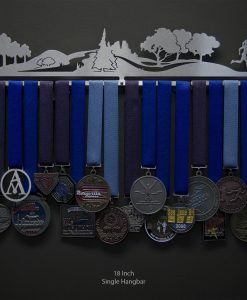 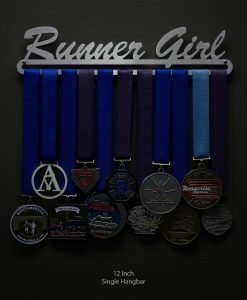 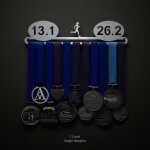 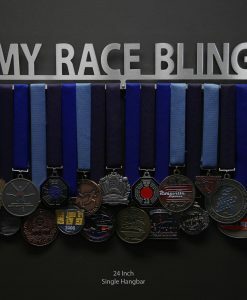 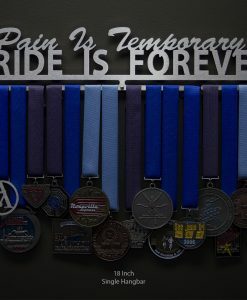 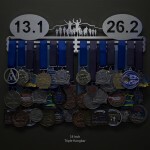 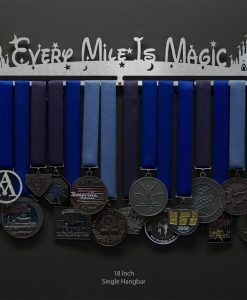 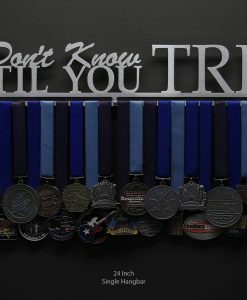 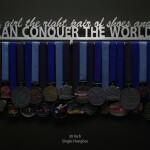 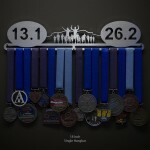 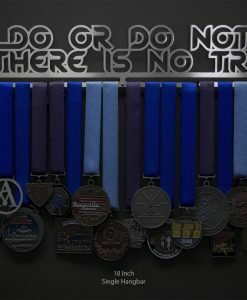 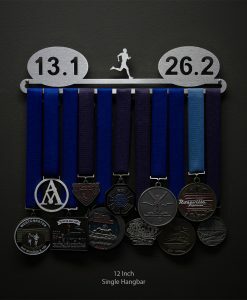 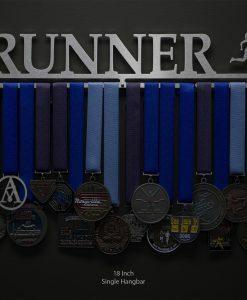 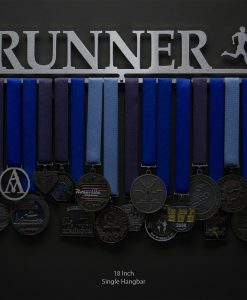 For runners with both half and full marathon finisher medals to display! 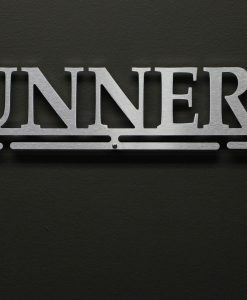 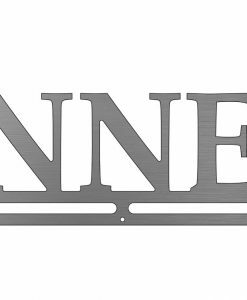 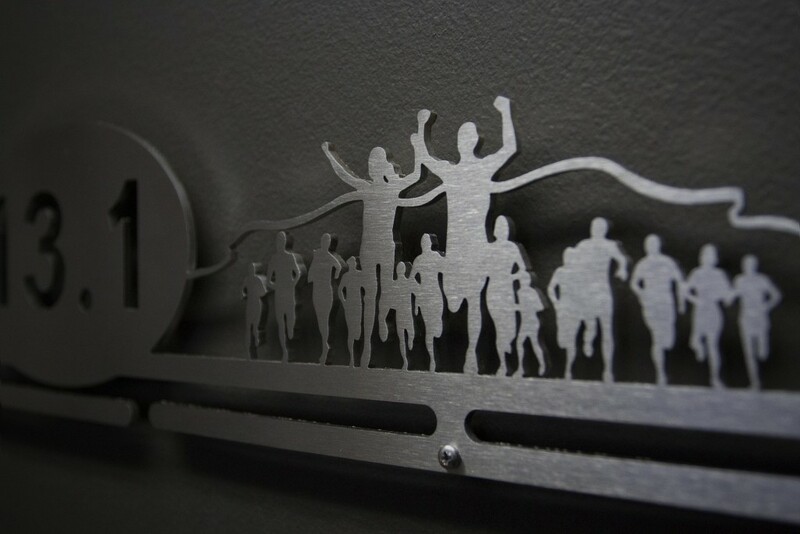 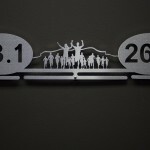 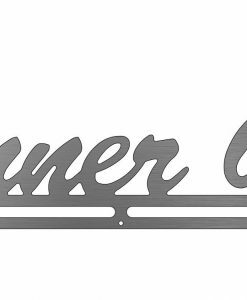 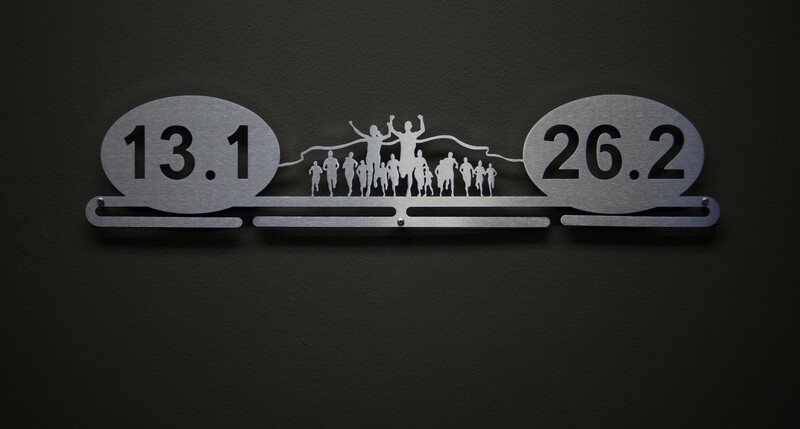 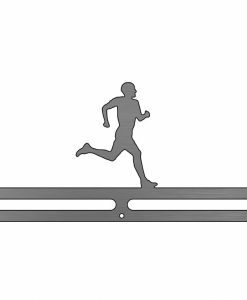 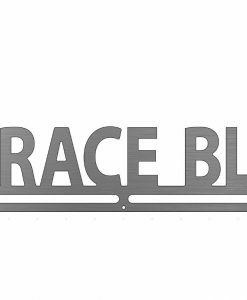 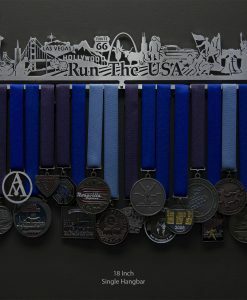 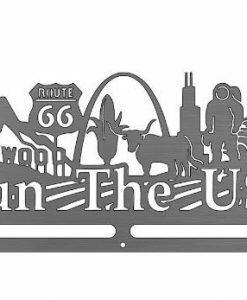 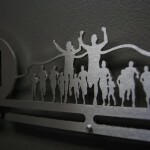 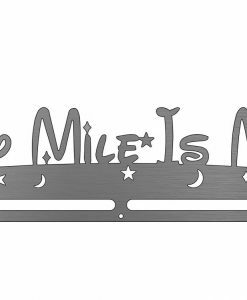 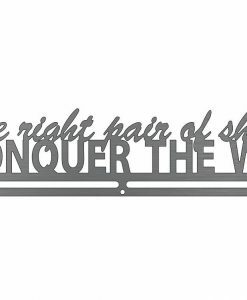 The Medal Display is laser cut from brushed stainless steel for a look as elegant as you are determined. 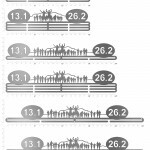 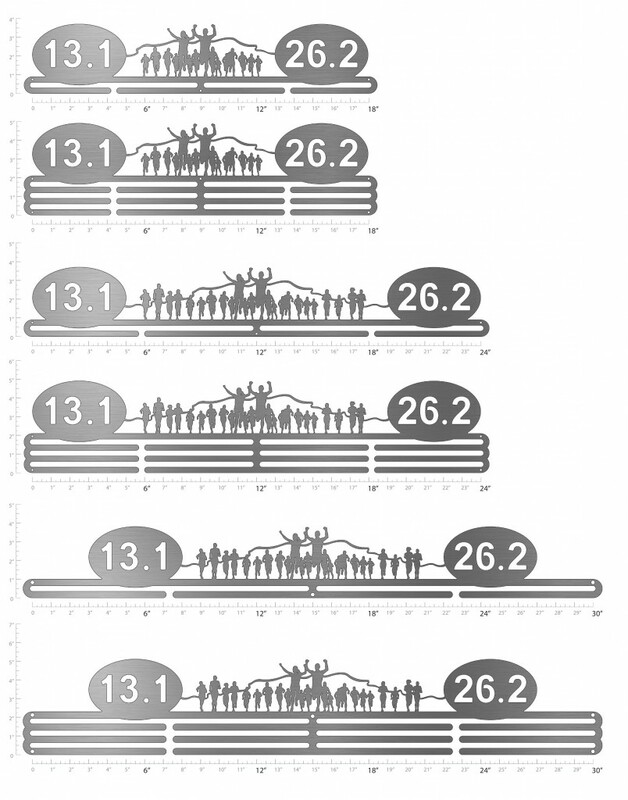 Ordering a “3 hanger bar” display will triple these figures, and will come with clear plastic ribbon clips to shorten or stagger the lengths of the ribbons. 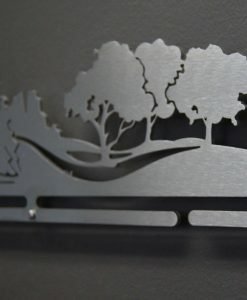 Cut To Order means we don’t make it until you order it. 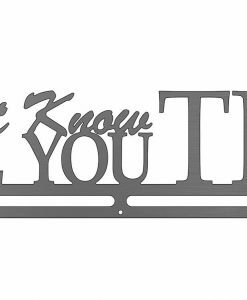 Order processing typically takes 3 to 8 business days. 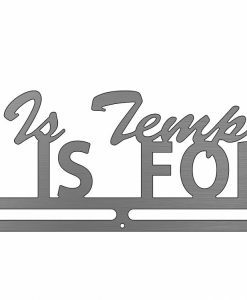 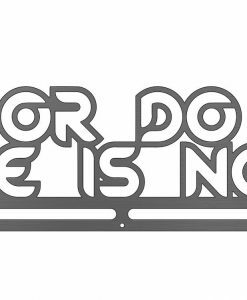 Once your order is processed, domestic shipping can take between 2 and 8 business days to arrive at your door. 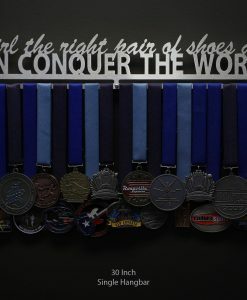 Most domestic orders are shipped via FedEx.